It’s not only best to choose a moving company that has a great reputation and a proven record for reliability, but value for money should also play an important part in your selection. As part of this process, look for trustworthy references outside of the testimonials on their website. No one is going to put negative reviews from customers on their website are they? So when you’re researching removalists, always check Google reviews for honest opinions on all elements of their service. Remember, you’re paying the moving company to do a job, so selecting a removalist is pretty similar to interviewing a new employee, you need good references. When you’re moving house who better to talk to than a removalist to find out what you should be asking your prospective removalist company? Dominic from Smartmove – a moving company in Sydney – was put to the test when he answered a few questions. 1. Are your removalists reliable and trustworthy? When people ask us if our guys are good, we say yes! They are the best. Our guys are courteous, polite, hard working and can think for themselves with regards to etiquette and the customer’s needs. Our client base is mid- to high-end and we move a lot of family homes so we only employ guys that we would be happy to have around our own children. We don’t employ people with offensive tattoos or those with a criminal record. We also get asked if we use sub-contractors (removalists not employed by Smartmove but used when our bookings are full). We don’t. Every one of our moves is undertaken by guys directly employed by us. That way we know you will receive the best service possible. We don’t have any minimum charge whereas other removal companies can charge a minimum of 4­-6 hours. We charge the hourly rate to the nearest 15 minutes. Another moving company might run by the whole hour. Our hourly rate is mid-priced with NO hidden extras – we are very transparent with regards to the costs, so there are no surprises on the day. The overall cost of the move is kept to a minimum due to the efficiency of the removalists. They are dedicated to your move and you won’t catch them slacking! The truth is every move is different, we’re not able to give an exact duration but we are able to provide an estimated time based on information we are given. This depends on the size of the property and how easy it is to move furniture and boxes from the property to the truck (including having to move stuff down stairs and using lifts). Some people might understate the volume of boxes and furniture being moved when they make the booking and would therefore get an inaccurate moving time estimate. This may cause issues on the day you’re moving house, when it takes longer than expected. Customers are obviously present at the time of their move and can see the guys working at their optimum pace, so rest assured they do not drag the jobs out. We confidently say that our guys will get the packing and move completed in the best time possible whilst being mindful of your belongings. We are a family run and owned business and can relate to our customers on more of a personal level. According to Australia’s consumer protection laws, you have to be a licensed broker to offer an insurance policy to people and we are not. People can take out insurance either by using our broker or their home contents insurance. We do, however, carry transit insurance in the unfortunate event that our truck is involved in an accident or rolls while we’re transporting your goods. The truck, the guys and your goods (excess of $500) are covered in these cases only. 5. 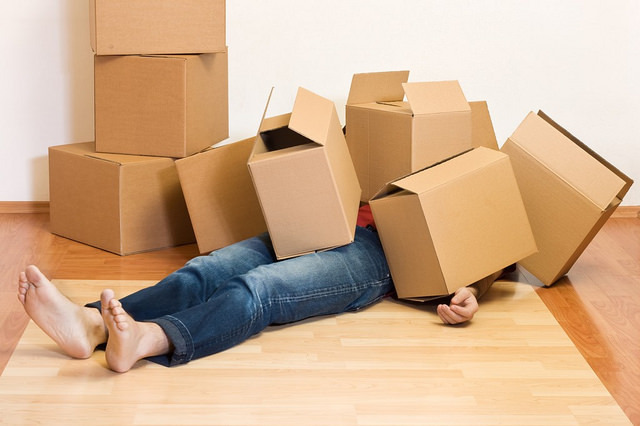 What is the general policy with boxes for customers who are packing their houses themselves? As 90% of our customers pack themselves we recommend that lots of packing paper is used, and don’t be economical with your boxes. Rather spend a few extra dollars on more boxes than trying to overstuff them. 6. How do you handle complaints from customers? We address any concerns immediately and investigate whether the complaint is valid. We don’t hide anything and try to be as open as possible with our clients. 7. Finally, what would the most important piece of advice you’d give to people moving house? Finish your packing by the day before your move. Anything that still needs to be done on the day of the move could delay the process. Use professional removal boxes only, you’ll find removal boxes are strong and stack well in the truck. Don’t use a mixture of sizes and/or weaker boxes from a supermarket – you’re giving yourself a false sense of security if you think you’ll save money this way. They’re more likely to break. Also if you have plastic tubs and want to use them for your move that’s fine, just be aware they are made of brittle material and may crack as they are not meant to be stacked and transported. Try not to underestimate the time you think it will take to move, leave the hard work to your moving company and trust us to get it done in the best possible time. You won’t be disappointed!